epistemology | J.W. Wartick -"Always Have a Reason"
Stephen Parrish’s The Knower and the Known is not merely a critique of physicalism. As we noted in the review of the first part, that critique itself is a decisive, thorough demolishing of major physicalist theories of mind. Here, we will explore Parrish’s exposition of a theory of consciousness. What does it mean to have a thought? Parrish notes several aspects which go into the very act of knowing. There must be an object of knowledge; there must be a subject to consider the object; there must be consciousness in order to apprehend concepts and aboutness; there must be a relationship between subject and object and consciousness; there must be understanding of that relationship; and finally there must be a view of the world in which all of this can occur. 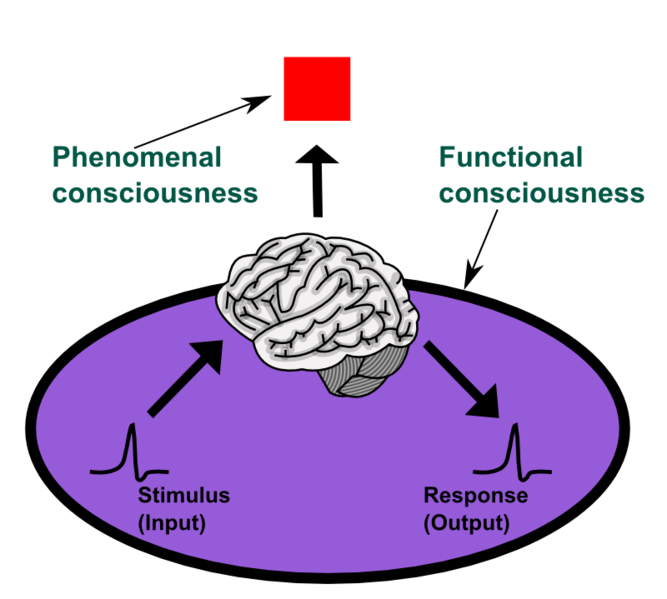 Consciousness itself is an extremely complex notion which involves phenomenality: the actual experience of thought; intentionality: the turning of one’s thoughts to consider an object; subjectivity: an agent which is itself the subject of the thought; and rationality: the capacity to order thoughts in such a way as to make sense of them. (206-213). Consciousness has certain phenomenal properties. That is, when we consider our own thoughts, there is a distinct feeling to them which allows us to differentiate them from simple sense perceptions. There is an aspect of inentionality or attending-to our thoughts which is itself irreducible. Moreover, we are able to comprehend things which are themselves non-physical, such as the nature of a logical argument like modus ponens (226-228). Consciousness must somehow interact with the physical world. If one is a physicalist, it becomes a matter of reducing consciousness to purely physical explanations, eliminating consciousness, or offering a brute relationship between consciousness and the physical world. Qualia are also extremely important when considering consciousness. How is it that we are able to see objects as objects with certain properties? What process allows for individual particles/rays of light to manifest themselves in phenomenal consciousness in such a way as to provide a coherent picture of an object? Moreover, “there is more to recognizing qualia than just having color in one’s sensory field; there is also our attention to said qualia, the judgments we make about them, the objects that they represent, and also our memory of them–and these factors can make all of the difference” (257). Subjectivity is also extremely important to forming a theory of consciousness. It seems that subjects are, in fact, irreducible. For the physicalist, the concept of a subject is extremely difficult. After all, a subject at t1 is going to be different from that subject at t2 in a number of highly relevant physical ways. Their neurons are firing differently from t1 to t2. How is it that subjectivity is maintained. The substance dualist holds that subjectivity is maintained through unity of consciousness which may not be reduced to the physical (291). The unity is preserved through intentionality but more thoroughly through rationality. The use of reason is one of the primary ways to offer continuity of the self. For the subject, S, at t3 is considering both thoughts at t1 and t2 in order to come to a conclusion at t4. Reason itself has aspects of intentionality which cannot be accounted for on a physicalist view of reality, for a physical object is capable of performing mathematical computations but not understanding the aboutness inherent in those computations (266-267). Parrish grounds his understanding of consciousness in a theistic worldview. There are numerous difficulties with an account of substance dualism which seem to only be soluble on a theistic interpretation. One of these is the problem of the interaction between body and mind. If God exists, then it seems inherently possible that a deity would be capable of forming the world in such a way that mind could interact with body. Parrish addresses several objections to the notion that an immaterial being could interact with a physical universe while also making an argument for non-physical selfs apart from God interacting in the universe (324ff). The match of our minds with the world is something which must be accounted for. Parrish notes that if we ground ideal objects in an immaterial being like God, the difficulties with such objects existence and subsistence may be solved. Moreover, the glorious match of our mental life with reality is also explained, for a rational being is the source of all which we observe. If that is the case, then we no longer must appeal to simple brute fact to attempt to explain the phenomena of consciousness; instead, we may note that it is exactly as one might expect given theism (337ff). Parrish concludes the work with a brief comparison of physicalism and substance dualism across multiple questions related to consciousness and the physical world. Finally, there are two appendices which address free will/agency and the theory of panpsychism, respectively. In Part 1 of this review I outlined Parrish’s discussion of physicalism. Here, we have seen the structure of his substance dualism. It seems to me that Parrish’s deconstruction of physicalism is quite powerful. In particular, I noted that he makes a strong argument that physicalist theories ultimately boil down into either epiphenomenalism or mysterianism, neither of which is plausible. Moreover, his use of numerous examples and thought experiments throughout makes the work easier to comprehend while also providing a solid basis for grounding further discussions in philosophy of mind. Finally, the vast amount of research and documentation Parrish provides makes the work invaluable as a reference for physicalist writings alongside its clear value as a thorough critique of those same works. The second major section, in which Parrish outlines his view of a theistic dualist ontology, is equally important. He provides a large amount of background for understanding how to put together various aspects of consciousness while also noting that, on theism, these observed phenomena cohere within an ontology, while on physicalism they are generally either discredited or ignored. The one thing the work may lack is a bit of cohesion in the section on substance dualism. Parrish has given a broad vision for how to hold a dualist ontology, but sometimes leaves it up to the reader to put the pieces together. The pieces are there, but not always assembled. I should note, however, that even here Parrish has provided an invaluable resource for those who wish to argue for a dualist vision of philosophy of mind. I have already noted that Parrish’s The Knower and the Known is a tour de force in the realm of analyzing physicalist theories. However, the work is much more than a simple refutation of physicalism. Alongside that critique, Parrish has laid out the groundwork for substance dualism as a cogent alternative. Simply put, it is a must read for anyone with any interest in philosophy of mind. 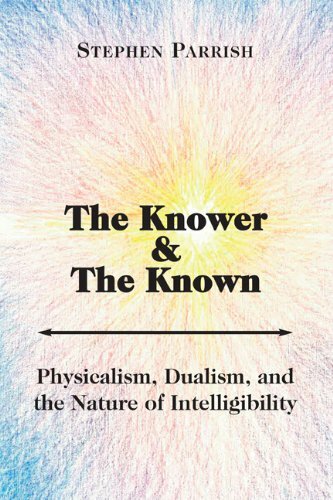 Comprehensive in scope, exhaustively documented, and interesting to read, The Knower and the Known is a must-have. Stephen Parrish, The Knower and the Known (South Bend, IN: St. Augustine’s Press, 2013). Recently, the atheist Alex Rosenberg debated the theist William Lane Craig. The meat started to happen in the rebuttals, so I will focus on those. For a full review, check out Wintery Knight’s excellent summary. Craig pointed out the extreme implausibility of the naturalistic worldview in contrast to theism. He outlined several ways in which naturalism fails as an explanation of reality and cited Rosenberg’s work several times throughout this discussion. He argued that mental states have an “aboutness” which naturalism cannot explain.Then, he pointed out the profound difficulty naturalism has with locating truth and meaning within the worldview. He asserted that libertarian free will and purpose are incompatible with naturalism. Finally, the concept of the “self” and the first-person awareness cannot be explained by naturalism. He also argued that different religious books are false, so there is no reason to trust the New Testament. Rosenberg said if Craig could provide an explanation for this, then he would become a Christian. 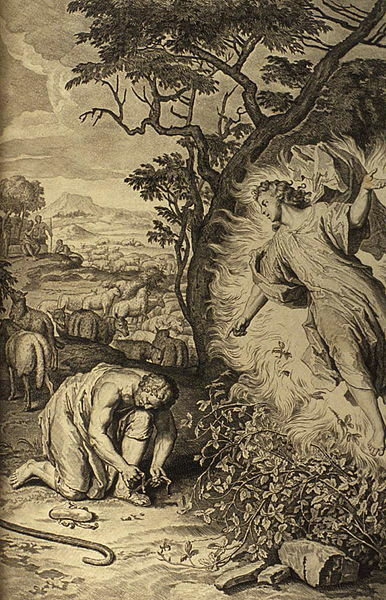 Craig immediately exclaimed his excitement over Rosenberg’s possibility of becoming a Christian, arguing that the logical problem of evil, which Rosenberg seemed to be using, has been largely abandoned due to its immense problems. In order to make this argument, the atheist assumes that if God is all powerful than he can create any world he wants, but this is not necessarily true. It is logically impossible for God to make someone freely do something. The atheist would have to prove that there is a world with as much free good in this world but without as much free evil. It seems this premise is impossible to prove. Thus, the logical problem of evil has largely been dropped. Craig pointed out the fact that Rosenberg was simply mistaken about the importance of metaphysical naturalism. If metaphysical naturalism is false, then it seems clear that theism is that much more plausible. Craig also once again pointed out that discrediting things like the Book of Mormon or the Qur’an does nothing to undermine the truth of the New Testament documents. Rosenberg continued to attack Craig as well as the format of the debate. He asserted that Craig was merely repeating himself. Then he commented that the format of a debate does not work to discuss questions like those at hand. One honestly is forced to wonder why Rosenberg chose to engage in the debate, if such were his opinions. Rosenberg attacked Craig’s arguments for “giving philosophy a bad name” and said he would be “embarrassed” to outline Craig’s defense of his arguments. He did get into some actual comments on the arguments, however. He argued that some things can come into being from “nothing at all,” specifically alpha particles. Finally, he got to the problem of evil. Here I continued to be confused over whether Rosenberg was sure which variety of the problem of evil he was presenting. He continued to utilize the evidential problem of evil as though it were the same as the logical problem of evil. He was confusing his arguments, mixing necessity with contingency. There is little to comment on here, because it was so confused. Regarding the New Testament, Rosenberg essentially argued that we cannot know how corrupt the New Testament is. Craig turned once more to Rosenberg’s construction of the problem of evil. He pointed out that Rosenberg was mistaken about free will as well as the nature of the God’s creation. He pointed out that the holocaust was not necessary. Instead, he noted that the onus is upon Rosenberg to show that God could have actualized a world with as much good as there is in this world while simultaneously showing there would be less evil, which is of course beyond the ken of the atheist (or the theist). Craig pointed out that we can confirm that New Testament sources we have go back to within 5 years of the actual events. Furthermore, Rosenberg was mistaken in saying that the New Testament documents were written in Aramaic. They were written in Greek. Rosenberg used his closing to present an “obvious” argument for atheism. He argued that science has no need of the God hypothesis and that there is no basis “to invoke God for explanatory or any other purpose” in science. Thus, science has no reason to accept the existence of God. I find it interesting that he chose to save this argument for the point when he couldn’t be rebutted on the argument. Perhaps that is due to the extreme weakness of the argument. Only be equating science with knowledge could this argument have any relevance. This is not to mention that he is mistaken on this, but to show that he is mistaken would take us too far afield. Interested readers can view the links at the end of this post. Rosenberg closed with “advice from an atheist.” His advice was to tell theists to not demand that their faith be reasonable. He continued with a discussion saying that theists should say “I believe because it is absurd.” He essentially asserted that theists cannot be reasonable. Honestly, this was just an insult. I admit I was not surprised by this comment by the end of the debate, as Rosenberg’s general strategy had seemed to be to denigrate, rather than interact with, theism. I was honestly stunned by Rosenberg’s assertion that substance dualism or a debate over naturalism had nothing to do with faith in God. It seems quite obvious that such things are indeed germane to the discussion. If substance dualism is true, then theism has a much better account than non-theistic worldviews. If naturalism is false, the plausibility of theism increases greatly. In the Q+A following the debate, someone asked Rosenberg why they should believe anything he said in the debate if he himself doesn’t believe in true. Rosenberg basically answered by saying that he’s just rearranging the brain in a way to meet truth… but of course he already denied that we can know what truth is. It’s just a certain way of orienting the matter in one’s brain! Ridiculous. I’m sorry, but it is ridiculous. Regarding the debate itself, there were a number of non-scientific ways that people voted on the results of the debate. A formal panel awarded Craig the victory 4-2. The local (Purdue) voting on the debate 303-1390 Craig won. Online vote favored Craig 734-59. In other words, Craig crushed Rosenberg. I agree wholeheartedly. Let me know your thoughts. Comment below! Wintery Knight provided a simply fantastic summary of the debate. 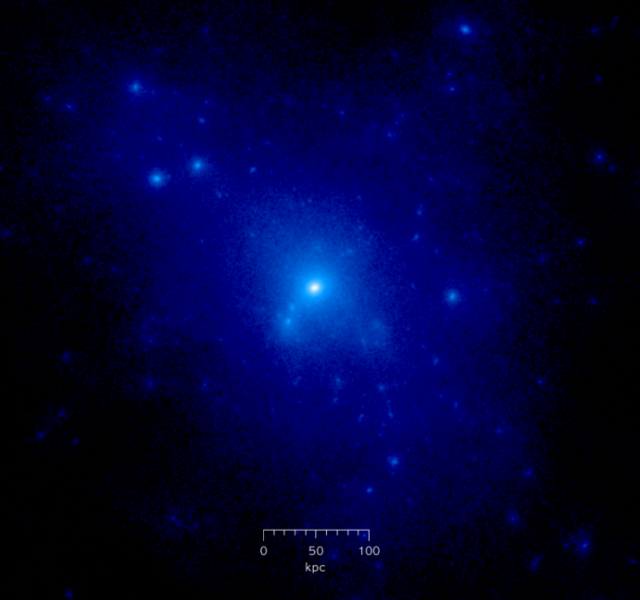 Glenn Andrew Peoples has a post on quantum events in relation to the cosmological argument which is very relevant to this debate. Shoulders of Giants?- Philosophy and Science in Context, or, “Lawrence Krauss Jumps off!”– I write on the relationship of science to philosophy as well as Christianity. 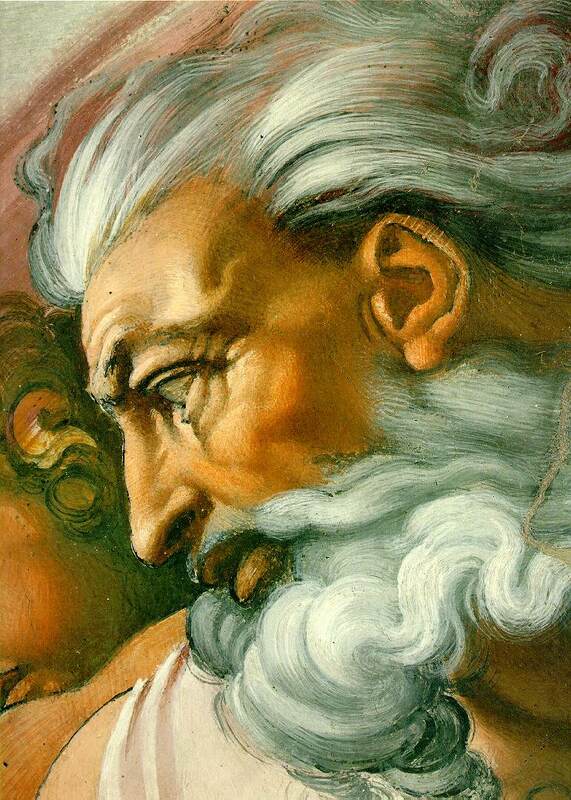 Science: “Thanks Christianity!”– Does Christianity say anything about science? Lawrence Krauss recently appeared on the English [UK] radio show “Unbelievable?” In this radio program, Krauss and Randy Holder, a Christian, were in dialog about “A Universe from Nothing?” [not necessarily Krauss’ book, but the subject in general]. The dialog, unfortunately, showed that Krauss continues in his ignorance of the importance of philosophy to his own subject, as well as his own flippant dismissal of generations of scientists. I can’t think of a more galling statement for a contemporary cosmologist to make. 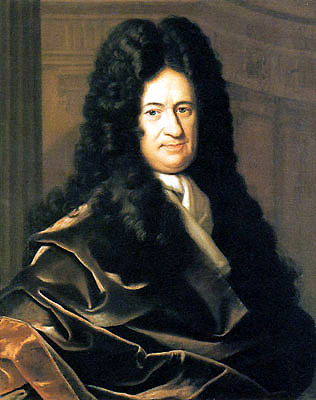 Gottfried Wilhelm Leibniz, for those who don’t know, happened to be one of the men who discovered infinitesimal calculus. He also (among countless other contributions to mathematics, science, social sciences, engineering, and philosophy) developed a calculator, contributed to the development of binary language, was one of the first to posit that space was relative, and developed the principle of sufficient reason (which supports all scientific investigation). Yet, according to Krauss, because he lived in a time before we know how large the universe was, he “knew nothing!” You see, Krauss, and some other scientists and thinkers with a scientistic/physicalist bent, too often throw out the very basis of their thought. How far do you think Krauss could get in his cosmological research without infinitesimal calculus? How would Krauss go about investigating the causes of various natural phenomena without the principle of sufficient reason? The answer is pretty simple: he wouldn’t get anywhere. Really, Krauss? Let’s see how well your next research project goes if you throw out all the contributions they made to your methodology. Next time you do an experiment, try to do it without parsimony or inference to the best explanation. Write to me how that goes! What’s happened with people like Krauss, and I can think of others (like Stephen Hawking, Richard Dawkins) who do the same thing, is that in their gusto for the marvels of modern science, they have forgotten the very basis for their methods, their research, and their rationality. Without philosophy, there would be no way to infer causes from effects; without the principle of sufficient reason, there would be no reason to think that causes even have effects; without a well developed notion that what will happen can be inferred from what has happened, these scientists could not even get going. But then they have the absurd tendency to turn around and reject philosophy. They say things like the quote Krauss fired off above. Here’s the thing: science is utterly dependent upon philosophy to survive. If we didn’t have philosophy–if we didn’t have the developed notions of rationality, inference, and the like–there would be no science. Other theists (and philosophers) have contributed things like parsimony/Occam’s Razor to the wealth of philosophical methodological backbone which makes the scientific enterprise possible. In fact, there is still debate over whether we can reliably make inferences from science (for one example philosophically defending scientific inference, see Wesley Salmon, The Foundations of Scientific Inference). Some scientists have now apparently become those who sit in the ivory towers, blissfully ignorant of how their own research depends upon others’ outside of their field. I suspect a multifaceted problem behind the motivation of those who throw philosophy out the window once they’ve embraced full-fledged empiricism. First, many of these thinkers have demonstrated they don’t actually know what empiricism means as a–that’s right–philosophical system. Apart from Krauss and Hawking, one could cite the recent example of Richard Dawkins admitting that he doesn’t know what “epistemic” means. Note to those who embrace that philosophical system of Krauss et al. : without epistemology, you would not even be able to justify inferences to best explanation. How’s that for a dose of reality? Second, there is a kind of blatant ignorance of–or even intentional trampling on–the historical development of scientific inquiry. I hesitate to say that philosophy makes a “contribution” to science, because that’s not what it is. A simple study of schools of knowledge reveals that science, by its very nature, is utterly dependent upon epistemological research. Without such development, there would be no scientific method. Third, these scientists constantly make philosophical claims, apparently in complete ignorance of the fact that they are philosophical claims. For example, in the same dialog Krauss argues that “the universe certainly doesn’t care what I like…” and throughout the discussion points out that it doesn’t matter what we think, the universe is revealed in a certain way by research. He apparently seems utterly oblivious to the fact that that, in itself, is a philosophical position. One could take a rival position and argue that the appearances of nature don’t actually determine reality because everything is mind-dependent (idealism, solipsism, or other schools). It’s not enough to just point at nature and say “see, this is how things are!” because if that’s all one does, then someone could say “Your ideas about how things are are dependent upon your mind and ideas, and therefore don’t have any access to reality.” No scientific research could rebut such an argument, only a philosophical position in which nature can give us a reliable record for rationality can ground science. Krauss dismisses philosophy very nonchalantly. It seems as though he (and others like him) is oblivious to the fact his entire system is philosophical. Consider the claim that “science can examine reality.” How does one go about proving it? One could argue that one could simply make a test and show that over and over again in circumstances y, x result happens, so we are justified that when we assert that if y, then x. But of course we would have to justify that a test can be connected to reality; we’d have to figure out what it means to have “justified” belief; we have to show that our scientific method is trustworthy; we have to assume that mathematical truths are true; we have to operate within a rational perspective; etc. All of these are philosophical positions. Some of them are debates within philosophy of science, in fact. The bottom line is that whenever someone does science, they are utterly reliant upon philosophy. By simply taking the empirical world as something which can be explored, they have made a number of philosophical assumptions, whether realized or not. Scientists take much of the philosophical development as a given before they even start their research. And then, some of them, like Krauss, have the gall to turn around and dismiss philosophers as though they “know nothing.” Suddenly, he has undermined his own system of thought, without even acknowledging that it is a system of thought. Frankly, some of these scientists are just confused. Thankfully, many scientists operate with a system that respects the contributions of philosophy to science and encourage the interplay between the fields of knowledge. Here’s the bottom line for those scientists who agree with Krauss: your entire field of research can only proceed if you grant over a thousand years of philosophical development. One major contribution was made by Leibniz, whom people like Krauss casually dismiss. But without the theistic philosopher with the awesome wig, scientists would have nothing. Thanks, philosophy! Thanks again, Christianity! there are no tables or chairs or any other visible objects except living organisms (1). This sounds odd to a great many people, and he acknowledges this. The thesis, however, solves many of the standard problems of composition. Specifically, van Inwagen seeks to answer, specifically, the special composition question: “In what circumstances is a thing a (proper) part of something?” (21). He surveys traditional answers to this question and finds them wanting. Some have argued simply that “contact” is enough to deduce when an object is composed of other objects, but van Inwagen utilizes a series of thought experiments to show this cannot be right (33ff). Specific types of physical bonding fair no better (61ff) while nihilism (there are no composite objects) and universalism (one can’t compose something, because if there are disjoint xs they compose something ) fall victim to a number of difficulties (72ff). (there is a y such that the xs composes y) iff the activity of the xs constitutes a life (or there is only one of the xs) (82). He goes on to define what he means by life (87ff). Against those who argue that his answer violates ordinary beliefs, van Inwagen proposes various linguistic fixes to allow for everyday language to still be “correct” without violating his suggested answer to the composition question. Thought experiments about artifacts (constructs of people/other living things) help bolster his points (124ff). After these sections, van Inwagen turns to questions over how to identify life as well as offering attempts to deal with various dilemmas presented to materialists. This composes most of the rest of his work, but more on that shortly. Van Inwagen’s analysis of the problem of composition seems quite sound, and while his proposed modifications of everyday language to fit into the philosophical answer he has proposed may seem a bit odd to many, they seem to answer the charges his opponent may level against him regarding such questions. Furthermore, his proposed answer gets past the difficulties of the other answers which have been proposed. The most intuitive answer, “contact,” van Inwagen shows is at least fraught with difficulties. That said, there are some significant problems with van Inwagan’s approach, most of which stem from those which he, being a materialist, has presented to himself and other materialists. One place to identify van Inwagen’s problematic approach is in section 12. He writes, “…the fact that I am a thinking being shows that there is at least one composite material object…” (120). He continues, “What is the ground of my unity? …It seems to me to be plausible to say that what binds [the simples which compose me] together is that their activites constitute a life…” (121). Now, wholly apart from whether or not “simples” can be thinking objects, this argument seems unsound. For, on materialism, what justifies 3? Why think that whatever thinks is alive? I’ve already noted that there are philosophers of science and biologists who seem to think there isn’t such a distinction as alive/nonliving (see, for example, Iris Fry’s work, The Emergence of Life on Earth). This therefore reflects the problem I’ve noted already: without a clearer definition of “life,” it is hard to analyze van Inwagen’s thesis. Yet one may also question the second premise. Why suppose that “I think?” Materialists cannot be substance dualists and must therefore justify personhood in purely materialistic ways. As I’ve argued elsewhere, it seems that materialists almost must deny that there are such things as subjects. Yet van Inwagen just makes the assumption that “I think.” What is “I” on his view? Finally, why think that 1 is true? One can see the great difficulties with his position illustrated when he turns to thought experiments about when human life begins. Van Inwagen argues that we cannot be the same as the zygote which was our intial state because it splits from A into B and C, neither of which is identical to A (152ff). He argues that the zygote ceases to exist. One instantly wonders how it is that “I” am therefore the same person as I was yesterday, or years ago when all the material which composes me is different. Van Inwagen’s answer is his thesis (above) with the supposition that life actively continues itself. But then one wonders why he doesn’t consider a zygote alive, because it clearly self-organizes, continues itself, etc. In fact, when one examines van Inwagen’s definitions of life, one sees that a zygote meets every criteria. They maintain themselves, they are individuating events, they are “jealous events,” etc. (see his brief discussion 87-90). So why suppose that the zygote isn’t alive? Again one can observe van Inwagen’s frustrations with brain transplants (section 15). Eventually, he resorts to a mock discourse in which he uses question-and-answer format to try to deal with some extremely illogical consequences of his own naturalism (196ff). Similar confounding issues arise with the “vagueness of composition,” unity and thought, and the identity of material objects. One can see that van Inwagen’s materialistic bias truly undermines his position in each of these problems. If one holds to substance dualism, one can easily answer any of these problems. Not only that, but his “proposed answer” makes much more sense conjoined with substance dualism, which allows one to make sense of the persistence of persons, living things, etc. without any of the counter-intuitive solutions to which van Inwagen must adhere. Thus, it seems to me that Material Beings is an excellent book which will provoke much thought, but that its author is, unfortunately, trapped within his own materialism. If he’d think outside the [brain] box, the seemingly insurmountable problems he honestly faces find solutions. Peter van Inwagen, Material Beings (Ithaca, NY: Cornell, 1990). If materialism, are there subjects? In this post I seek to establish one premise: If materialism is true, there are no subjects. There has been much extended discussion in my post on atheism’s universe, wherein (in the comments) I asserted that, on atheism, there are no subjects. It is high time I clarified my position and drew out its implications. My argument is based upon a materialist or physicalist view of reality [I use the terms ‘materialism’ and ‘physicalism’ interchangeably here–I realize they are sometimes used to delineate differences between hard and soft materialists, but for the sake of this post one may assume that any time I mention “physicalism” I mean materialism at large]. I am asserting that: if physicalism is true, there are no such things as “subjects.” I’ve briefly argued elsewhere (see the post linked above) that the only consistent atheism is materialistic. For atheists who are not materialists, I leave it to them to show that their view consistently allows for immaterial entities. One constant objection to my position is that I never defined what I meant by “subject.” One reason I did not seek to define the term is because I did not want the debate to boil down into a semantic war over the meaning of subject. There are some features of “subjects” which most parties agree upon, but how to lay out those features is hotly debated. Further, I did not wish to beg the question against the materialist by defining a subject in such a way that no materialist ontology could even attempt to approach it (suppose I defined a “subject” as a “wholly mental feature of reality which acts as the center of consciousness”; in such a case, I’ve added nothing to the discussion because I’ve excluded materialism from the debate without argument). There is no easy way to define what is meant by “a subject.” I will seek now to define it as broadly as possible, so as to avoid any questions begged. Endures from moment-to-moment as one being. A subject would be the same subject at T2 as it was at T1. Accounts for any mental states–whether they are actually aphysical or physical. Hopefully these terms are agreeable to both sides. I’m sure people on either side will want to flesh out the notion of “subject” more, but it seems to me that these points can be acknowledged by all. The first point seems to be fairly clearly true. It is “I” who experience x and not someone else. The second point is necessary for subjects because otherwise “I” would be a different “I” from T1 to T2, and in fact not be the same being at all. The third point, likewise, seems fairly obvious, because it seems mental life is what comprises a subject to begin with. Whether the image in my mind of a cat is a purely physical phenomenon or not, any theory of the mind must take it into account. On materialism, what is it that is the referent of the term “I”? Is it my brain (only)? Is it my body? What am “I”? I will here offer a brief argument that no materialist account can take seriously the notion that “I” am distinct from other entities. It is, basically, an offshoot of the “one and the many” problem in philosophy. Materialism holds that all which exists is matter. Thus, “I” am composed of matter. The problem is distinguishing between everything else and me, for ultimately “I” am just a rearrangement of matter. Suppose that all matter is referred to as (M), and I am referred to by (I). Ultimately, on materialism, (I) is reducible to (M), which is really just all real being on materialism. Why suppose there are separate entities, (I) and (I2) and (I3) when all are, ultimately, (M)? It is much simpler to just suppose that (M) is all and that (I), (I2), and (I3) are (M) in rearranged forms. Now I don’t suppose for a moment this isn’t highly contentious. Some will come along and say that their own experience is enough to confirm that they are a different being from every other. But why suppose this? Ultimately, that conscious experience is reducible to the brain, which is reducible to matter, which is everything. On materialism, there really is just one “thing”: the material universe as a whole. The “parts” of this “thing” are ultimately reducible to smaller and smaller particles which comprise all the “things” themselves. Ultimately, all is matter, merely arranged in different ways at different times. I’m not suggesting that matter is some kind of single entity. It is particulate. But matter is also one kind of thing. Ultimately, on materialism, all things are just this kind of thing: material. The only way to differentiate between them is by time and place, but even then every individual thing is itself composed of particles of matter. All things are reducible to the same thing. On what basis can a materialist affirm that I, J.W., am the same subject now as I was 20 years ago? All my matter has been replaced. There is no material component of me which is the same as it was back then. Yet my experience tells me that I am the same subject. How can materialists account for this? One possibility is that they can simply point out that I am numerically identical to my past self. Although the individual pieces of matter which comprise me are not the same as they were 20 years ago, they were replaced only in portions, during which my body endured as a totality. The difficulty with this scenario is that it only serves to underscore the problems with materialism. Imagine a mad scientist, who, over the course of a day, cuts my brain into 24 pieces. Each hour, he removes one piece of my brain and places it into another body, which has no brain. He simultaneously replaces the piece of brain with an exact molecular copy. After the day, there is a body which has my brain in it, and my body, which has a copy of my brain in it. Which is me? And, if that question can be answered on materialism (which I doubt), when did my body/brain cease being me and transfer to the other body/brain? Materialism simply cannot answer these questions. The worldview is baffled by them. Yet in order for something to be a subject, it must endure through time. On materialism, I have not endured through time at all. My entire being–from my fingers to the hairs on my head to my brain–is material, and has been replaced by new material. Where am “I”? When I experience thought A’, it is because of a prior brain state, A. My mental states are either identical to, or supervenient upon, the physical state of my brain. The problem with this is that it relegates mental states to epiphenomenalism… This is because the mental state is entirely dependent upon (or identical to) the brain state. On physicalism, a mental state does not occur without a brain state occurring prior to, or in conjunction with, it. You came to this book assuming that the basic units of human cognition are states such as thoughts, beliefs, perceptions, desires, and preferences. That assumption is natural enough: it is built into the vocabulary of every natural language… These assumptions are central elements in our standard conception of human cognitive activity, a conception often called ‘Folk psychology’ to acknowledge if as the common property of folks generally. Their universality notwithstanding, these bedrock assumptions are probably mistaken. In other words, the notion that “I’m a subject! I have meaning!” is nothing more than a philosophical dinosaur, a remnant of our ‘folk psychology’ which we should cast off now that we know the truth of materialism. Those who object in such a fashion as materialists seem to be blissfully unaware that they stand aligned against the vast majority of materialistic philosophy of mind. They must justify their position, but cannot, as they arguments above have shown. Objection 2: Neuroscience has shown that the brain is the center of consciousness. When we think things, we can observe specific areas of activity in the brain. This objection is clearly mistaken. The previous arguments have sought to establish the premise: On materialism, there are no subjects. I could easily grant Objection 2 without doing any damage to my arguments. Sure, when we “think thoughts” we may be able to observe effects in the brain. How does it then follow that “we” are subjects? All that this has done–assuming I grant it–is show that our consciousness is somehow related to our brains. It doesn’t demonstrate that mind is identical to brain, nor does it justify the position that “I am a subject.” In fact, it seems to undermine the notion that materialism can explain subjects, because it implies, once more, that “I” am reducible to “my brain” which is, of course, reducible to its component matter as well. Any one of these problems provides insurmountable problems for materialists who believe they are, themselves, subjects. There is no way, on materialism, to distinguish the one from the many; there is no way for subjects to endure; mental states are reduced to causally inert epiphenomena; and there is no way to account for mental phenomena. Thus, if atheism is committed to materialism, and materialism cannot account for subjects, it follows that, without question, there is no meaning on atheism. There cannot even be subjective meaning, for to reference something as a “subject” is, itself, illusory. Jaegwon Kim, Mind in a Physical World (Cambridge, MA: MIT Press, 2000). J.P. Moreland, The Recalcitrant Imago Dei (London, UK: SCM Press, 2009). Paul Churchland,The Engine of Reason, The Seat of the Soul: A Philosophical Journey into the Brain, (Cambridge, MA: MIT Press, 1996). W. Norris Clark, The One and the Many: A Contemporary Thomistic Metaphysics (South Bend, IN: Notre Dame, 2001). 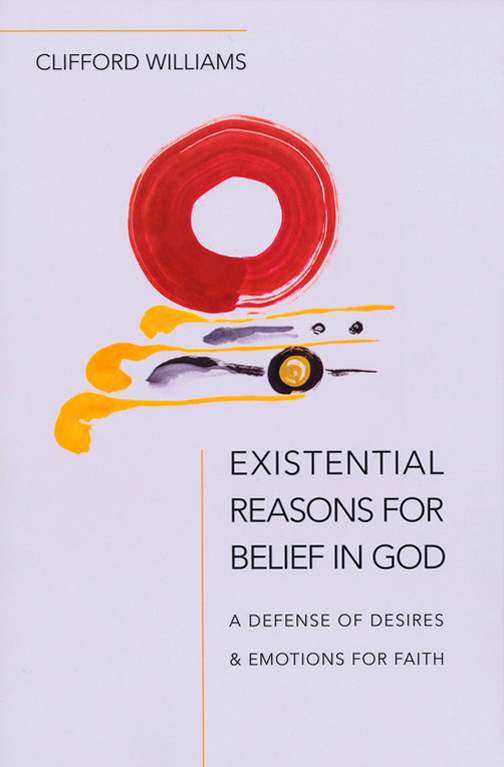 Clifford Williams’ Existential Reasons for Belief in God (hereafter ERBG) is one of the most unique philosophy of religion books this reader has experienced. Rather than engaging in systematic arguments for the existence of God based upon sensory experience or philosophical reflection on the cosmos, Williams focuses on the subject of his subtitle: A Defense of Desires & Emotions for Faith. Williams argues that “Christians need a conception of faith that is at least as much need-based as reason-based” (13). By uniting these into one concept Christians can help acquire and sustain faith (13). Need has been too often cast aside or ridiculed when it comes to faith (12). 2. Faith in God justifies these needs. Clearly, this is not the typical argument for the existence of God. It’s not an argument for God’s existence at all. Williams recognizes this fact and argues that there is a distinction between evidential and existential reasons for belief. “In evidential justification for believing in God, one believes in God because of what one takes to be good evidence for doing so ” (41). By contrast, “The existential argument… says that faith in God is justified solely because it satisfies certain needs” (41). The argument, therefore, is not to show God exists, but to show that one can rationally believe in God. Williams argues that such existential justification is permissible for a number of reasons. First, it helps clarify what nature is–it is not merely a faith based on aspects of reality but is instead a faith which is aimed at meeting certain needs (41). Second, people use existential reasoning in other instances–for example when they need to eat, they know that they are justified in going to meet that need (41). Objections to this reasoning will, of course, be raised. The first objection is that “the existential argument does not guarantee truth” (61). With this objection, one sees the distinction between evidential and existential arguments becoming very clear. Williams returns to the food analogy. The existential argument there would be “1. Humans get hungry; 2. Eating food assuages hunger; 3. Therefore, eating food is justified” (63). Here the argument is not to establish the existence of food but rather to establish that eating food is justified (63). Similarly, with the existential argument for God, the argument is to establish the justification for believing in God (63-64). The argument presupposes, to some extent, the existence of God, and justifies that very belief (64). 2. The best explanation for the presence of these needs in humans is that there is a God who has put them into humans. 3. Faith in God satisfies these needs. 1. Needs must be felt by many others… most people, if not all. 5. Needs must be felt strongly (89). Why, however, should we believe these criteria? Williams argues that these criteria are independently verified and that they have been found useful in a number of settings, including psychology, courtrooms, and in assessment of unusual phenomena (90). A third objection notes that not everyone feels existential needs. Williams challenges this notion and argues that most people will be aware of having the various needs he has outlined (119). Finally, it may be objected that we can satisfy these needs without faith. Williams counters by presenting a various tests wherein subjects may find temporary satisfaction in varied cases but their ultimate needs are not met (133ff). Williams also surveys various thinkers–from Pascal to William James to Freud–and what they had to say about needs. He offers critiques of several theories while advancing his own. There are those who may be thinking this is, so far, an entirely fideist account. Williams begs to differ and provides several reasons for why faith and emotion can work with the mind and reason to bring about a satisfactory, fulfilling faith (chapter 8). He concludes by showing various ways needs can draw us toward and away from God. Ultimately, “We humans find ourselves with certain deep and abiding needs… We need meaning… We need to kneel, so we kneel” (183). One interesting thing to note throughout the book is that Williams continually underscores his points with excerpts written by people who have had various existential needs met by faith. These illustrations are also used to show various objections or difficulties people have when their needs aren’t met. They give ERBG a unique feel to it–one that is more intimate than most philosophy works. They’re also useful in that they give readers a concrete example for his argument. Those coming from a very evidentialist view of apologetics and philosophy will have difficulties with this book, as this reader can attest to. It’s hard to admit that needs and emotions have their place in a rational world, but Williams does an excellent job focusing the reader on this fact. Too often, the focus is only upon a posteriori arguments based upon the world as opposed to those based upon the human condition. Williams adequately defends existential reasons for belief, and–perhaps most importantly–presented them in a way to which evidentialists can relate and understand. He acknowledged difficulties in the argument and responded to many key objections. Hopefully, Williams has reopened an avenue for philosophers of religion to explore. Too long have they ignored the usefulness of existential reasoning. Clifford Williams, Existential Reasons for Belief in God (Downers Grove, IL: InterVarsity Academic, 2011). Can we evaluate worldviews? How to navigate the sea of ideas. Think about it this way: worldviews are supposed to be reality. If a worldview does not match reality, how can it be reality? Thus, before I continue to offer critiques of other religions, I offer some epistemic groundwork. First, it must be noted that worldviews are not mere matters of feeling, regardless of what the supporters of the varied views claim. For example, if one says “You can’t analyze what I believe, it’s just a matter of faith” they are making a claim about reality–that their faith cannot be analyzed. Similarly, if one claims “Israelites sailed to the Americas from the Middle East,” [Mormonism] or “There is no God” [atheism] they have made a claim about reality. Such truth claims are capable of analysis, by definition. Statements are true or false. All worldviews make claims about reality, which are therefore true or false. Simply stating that one’s belief is “just faith” or “obvious” does not exclude it from making claims. How Do We Evaluate The Claims of Worldviews? One’s beliefs should conform to reality, if one seeks to be rational. Certainly, one could say “To heck with the evidence, I’m going to believe x, y, and z! I don’t care if I can’t support the belief and that there is strong evidence against x, y, and z.” But if one were to say this, one would abandon their reason. Their heart could believe, but their mind could not. Ultimately, all truth claims can and should be put to the test. Testing the claims of varied worldviews is no easy task. There must be objective criteria, otherwise one view will be favored over another. One cannot simply make their own view the default and argue that only by filtering truth claims through their position can truth be attained. Atheism, by no means, provides a neutral basis for evaluating religions, as I’ve argued elsewhere. In fact, atheism must past the standards for truth claims, just as any religion must. If one remains an atheist despite positive evidence to the contrary (or despite reasons to disbelieve the claims of varied atheistic worldviews like materialism), one abandons reason just as if one clung to a false faith. 1) Coherence– if a religion is contradictory, it simply cannot be true. For example, if a religion claimed that “Person Z is god, and person Z is not god,” that religion would be incoherent (Samples, 33). Furthermore, “If a worldview’s essential propositions are coherent… it is more likely to be true than if its essential propositions are not related in this way” (Groothuis, 55). 2) Balance– “A valid worldview will be ‘neither too simple nor too complex.’ All things being equal, the simplest worldview that does justice to all aspects of reality deserves preference (Samples, 33-34). 3) Explanatory Power and Scope– Does the worldview explain what we experience in enough detail? If a worldview does not explain our world, or it cannot account for certain phenomena, then it is lacks explanatory power (Samples, 34). Worldviews which make propositions which they cannot account for lose credibility (Groothuis, 53). 4) Correspondence– Does the worldview match the facts we know about the world to our experience of the world? If we know that the worldview in question promotes claims we know are false, it does not match reality (Samples, 34-35). Think about it this way: worldviews are supposed to be reality. If a worldview does not match reality, how can it be reality? We are able to test factual claims through empirical and scientific methods, so if a worldview continually is able to establish its essential claims by means of these methods, it is more likely to be true (Groothuis, 55). 5) Verification– Can this worldview be falsified? Worldviews which cannot be found to be false cannot be found to be true either. 6) Pragmatic Test– Can we live by this worldview? This test is less important, but still has credibility–we must be able to live out the worldview in question (Samples, 35-36). But worldviews should also be fruitful in the development of greater intellectual and cultural discoveries (Groothuis, 57). 7) Existential Test– Like the pragmatic test, this one is not as important as whether the view is factual, but it is still helpful. If worldviews do not account for inherent human needs, it is possible the view is false (Samples, 36). Again, this is not necessary for a worldview, but it helps measure a view’s completeness. 8 ) Cumulative Test– Does the worldview gain support from all the previous criteria? If a worldview is able to satisfy all the criteria, it gains credibility (Samples, 36-37). 9) Competitive Competence Test– If the worldview satisfies the previous criteria with more evidential power than other worldviews, it gains credibility over and against them (Samples, 37). 10) Radical ad hoc readjustment– Groothuis presents this as a negative test for worldviews. “When a worldview is faced with potentially defeating counterevidence, an adherent may readjust its core claims to accommodate the evidence against it. Various theories and worldviews can legitimately refine their beliefs over time, but radical ad hoc readjustment reveals a deep problem…” (Groothuis, 57). There is, as Groothuis pointed out, a line between refining belief and simply readjusting belief in an ad hoc way. If, for example, it were discovered that Jesus did not rise from the dead, then Christianity would be false (more on that below). If, however, one simply adjusted Christianity to say “Jesus spiritually rose from the dead,” that would constitute a desperate, ad hoc measure to preserve the worldview and count as discrediting Christianity. These tests present objective criteria for testing worldviews. If, for example, one wished to deny their worldview had to be coherent, they’d have to affirm that which they denied, for in denying that criterion, they were attempting to make their view more coherent. The testing of worldviews is a legitimate task, and indeed one in which people should engage. Some things, if falsely believed, are harmless (for example, if one believed it rained yesterday when it did not). Worldviews, however, if falsely believed, are damaging on any number of levels. If one believed God didn’t exist when, in fact, He did, then one would be doing a great evil by not acting upon the truth of God’s existence (and the contrary). Thus, the testing of worldviews is no task to be skimmed over, but one which should be approached with fear and trembling. The criteria outlined above allow people to engage in this task and evaluate the realm of ideas. What I find extremely interesting is that Christianity, unlike many world religions, doesn’t discourage the discovery of truth, nor does it evade evidence by claiming that it is merely a faith or feeling. Rather, the founders of Christianity explicitly stated that it is based upon certain truth claims, and that if those claims are false, then Christianity is worthless. Paul, for example, wrote “And if Christ has not been raised, your faith is futile; you are still in your sins” (1 Corinthians 15:17). The truth of Christianity rests exactly upon a testable claim: Jesus rose from the dead. If He did not, Christianity is false. Christianity’s scope and explanatory power are superior- it can account for the existence of contingent objects, persons, consciousness, life, and the like. Christianity corresponds to reality, satisfies existential and pragmatic needs, is simpler than many other explanations, its coherent, and it matches all the criteria. 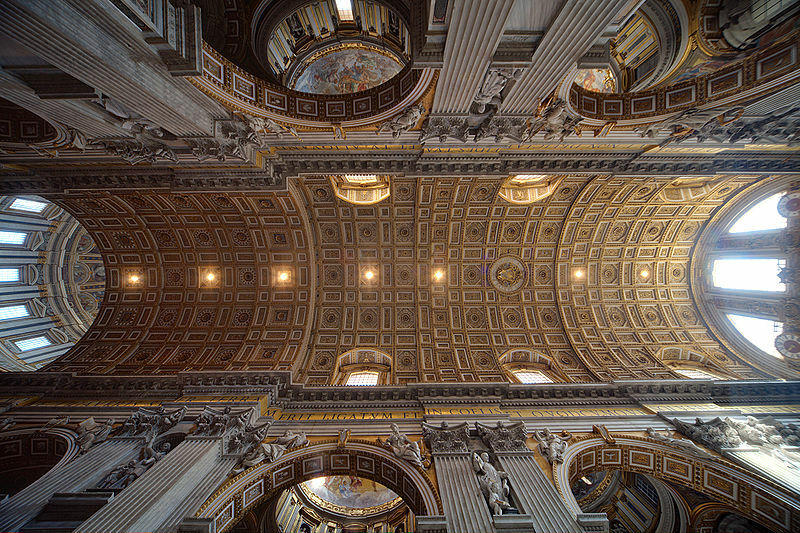 Christianity expects its adherents–and outsiders–to test the faith and discover whether it is true. I have found, personally, that it pasts these tests over and over. Whether one agrees or not, it is simply the case that religions make claims about reality. These claims are, in turn, true or false. Not only that, but they must match with reality in several important ways. Christianity not only adheres to these tests, but it encourages them. It also passes these tests. Does your worldview? Douglas Groothuis, Christian Apologetics (Downers Grove, IL: InterVarsity, 2011). Kenneth Samples, A World of Difference (Grand Rapids, MI: Baker, 2007). 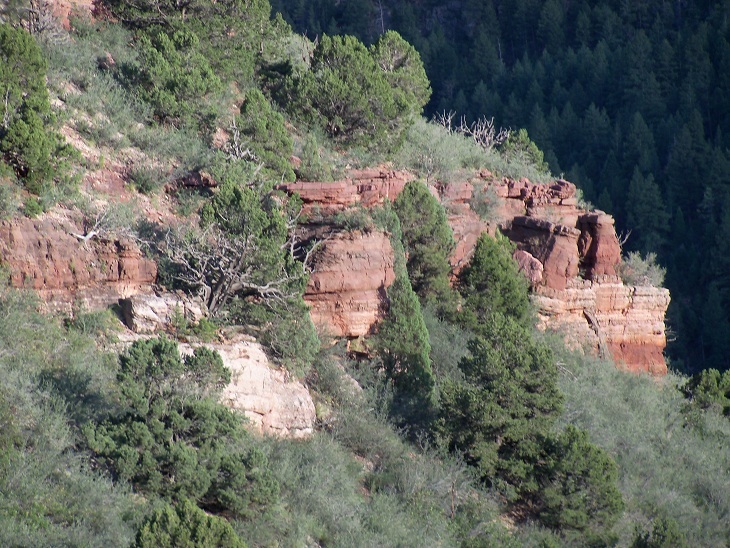 I took this picture at Waldo Canyon near Manitou Springs, Colorado on my honeymoon. Use of this image is subject to the terms stated at the bottom of this post. The other image is the book cover from Samples’ book. “Extraordinary claims need…” What, exactly? It’s a maxim repeated all over the internet, and it keeps popping up in debates between Christians and atheists. But what exactly is the phrase telling us? Do extraordinary claims really need extraordinary evidence? And what exactly qualifies as “extraordinary” evidence anyway? Do extraordinary claims really need extraordinary evidence? Well, intuitively, it seems the answer yes. But is it really true? Suppose I were to claim that I were not a human, and instead am a giant pink salamander. What kind of evidence would be required in order to back this claim? Well I could obviously submit pictures of myself typing these blog posts as evidence. I could submit videos. I could allow people to come observe me. None of these would really be “extraordinary” types of evidence. Merely observing something is nothing extraordinary. But these could certainly serve as proof for my claim. People would be justified in believing me upon observation–it’s possible that they could be within their epistemic rights simply by seeing pictures of me typing (though with Photoshop and the like, it is more difficult to justify that epistemically). So despite our intuitions, it seems there must be some kind of argument to establish the truth of the phrase. It seems, upon further thought, that the phrase is false. Ordinary evidence (x observes y to be the case, therefore, x believes y is true) will do even for extraordinary claims. Examples of this nature could be multiplied. So it seems the phrase, on this interpretation, is simply false. What qualifies as an ‘extraordinary’ claim? Another problem with the statement “Extraordinary claims need extraordinary evidence” is that those who make the claim never explain what exactly it is that qualifies as an “extraordinary claim.” I mean surely, we could reduce almost any claim to something extraordinary, if we worked hard enough. I claim to be human; that entails a huge amount of ontology such as the existence of a planet which is capable of supporting life, the existence of life on said planet, the higher order of life such that intelligent life could exist, intelligent life which created machines capable of typing out thoughts, etc, etc. Any claim could be said to be “extraordinary”. The attack on “extraordinary claims” fails, in part, because it does not define what qualifies as “extraordinary”. I suspect this is another case of proving too much or not enough: either all claims are extraordinary and not to be believed until we have overwhelming evidence, or claims need just enough evidence to be justified in believing them. What exactly is “extraordinary evidence” anyway? The phrase is thrown around as though it has meaning, and for someone studying philosophy with a heavy analytic bent, this is maddening. What is meant by “extraordinary”!? I think it could give us one of two options: either a) a large amount of evidence; or b) extremely powerful evidence. But even these definitions are ambiguous: what constitutes a “large amount” of evidence or “extremely powerful” evidence? The phrase therefore seems to rely upon a certain ambiguity in order to maintain its power. There is no clear definition of what constitutes extraordinary evidence; and it seems likely that the phrase is merely used to try to increase the burden of evidence on the theist. Without a clear definition or any kind of argument to support the assertion, however, the theist is justified in rejecting it. Consider 1) first. The reasoning here could be that something, like God, which can’t be observed simply by going somewhere and staring, would need extraordinary evidence in order to justify belief in said being. The problem here is that the definition of extraordinary is being used differently than (I think) the phrase is intended. For here, extraordinary would have to mean simply”other” than the ordinary. There would have to be some kind of evidence for a thing’s existence such that it would act as a substitute for “seeing” the thing. But that doesn’t mean we need “more” or “greater” evidence for something described by 1) than we would for something which is a standard, everyday kind of thing. All it means is that we’d have to have a different kind of evidence. What kind of evidence, specifically? Well it seems as though logical evidence or philosophical argument could serve as a valid substitute for empirical evidence. So either of those could serve to justify someone in her belief in a deity. Consider 2)–that claims of great existential import need extraordinary evidence. William Lane Craig discussed this in his Reasonable Faith Podcast, “Doubting the Resurrection.” He asserted that if something is of existential importance, we don’t demand more evidence for it; if anything, we should be more open and eager to explore the viability of the claims. Craig proposed the following example: suppose you are diagnosed with a fatal disease and there was “some experimental evidence that a vaccine… might cure you, wouldn’t you be desperate to [try the medicine and] find out if that might save your life… rather than saying, ‘Well, this is such a life-changing situation that I’m going to be as skeptical as I can, and only take this medicine as a last resort when it’s been demonstrated absolutely that” it will cure the disease. The key point is that claims of extraordinary existential significance require evidence, but they are of such import that it is almost absurd to be totally skeptical of these claims due to their total importance. As Craig points out, if God exists and sent His Son to save us through belief in Him, that is such an extraordinarily significant difference between the universe if that is true as opposed to if it is false that it is worth exploring. He points out that even if there’s only a 1/1,000,000 chance that it’s true, it is worth looking into. The most obvious rebuttal to this kind of reasoning is a kind of argument from religious diversity: “All the world’s religions have existential significance, and it would be impossible to fully explore all of them in a lifetime”… therefore, what? Perhaps one could argue that because we can’t explore all the options, we shouldn’t bother with any–but that seems to be throwing out everything for no reason. A diversity of options does not entail the falsehood of all. It may be best to instead look at world religions in light of the kinds of evidence which could be available, and take 1) above with 2) to yield an exploration of religions based upon the types of evidence available for them. For example, the Qur’an contradicts the Bible on the topic of whether Jesus was crucified. Yet we have irrefutable evidence that Jesus was indeed crucified from both Gospel accounts and extrabiblical, contemporary accounts. Therefore, one could see it fit to exclude Islam from the exploration and move on. Perhaps one finds the existential claims of Buddhism less compelling than that of Judaism–in such a case, she would be well within her epistemic rights to explore Judaism rather than Buddhism. A complete answer to this objection would take us far afield, but for now I think that it may be best to note simply that the objection does not undermine the argument against 2) anyway. As noted, a mere diversity of positions does not entail they are all false. Similarly, our inability to explore all possible options does not mean we should explore none. Perhaps it means, instead, that we should get started. The Myth of Atheism: Is it (epistemic) Neutral Ground? Is there such a thing as epistemic neutral ground? The question deserves serious consideration, for if there is epistemic neutral ground, surely we should all stand upon it in order to evaluate worldviews. The reason for this is because the ability to strip away all bias and preconceptions and simply evaluate a worldview “as is” without any pretensions would be highly invaluable. I’ve run into atheists who seem to think that atheism somehow counts as this epistemic neutral ground. I think there is good reason to doubt that there is such a thing as epistemic neutral ground; and if there is, atheism is surely not it. What reason do we have for thinking atheism is neutral ground? Those who argue that it is tend to say that it is neutral ground because they reject all religions a priori, which allows them to evaluate religious truth more fairly. This seems clearly misguided; rejecting all alternative worldviews hardly means that one is on neutral ground. In fact, it is more like dogmatics than neutrality. But is atheism really a worldview, properly formulated? If it is not, can it serve as our elusive neutral ground? There is no doubt that those who are nontheists share little in common other than the simple attribution of “not believing in God” or “believing there is no God”. There are atheists who are buddhists; atheists who believe in ghosts; atheists who are staunch secular humanists. There doesn’t seem to be any shared connection. Does this mean it is not a worldview? I think the answer is yes and no. Atheism, construed as some kind of singular entity, is not a worldview. Rather, each atheists has his or her own worldview–part of which is atheism. Analyzed in this light, then, atheism is a piece of the fabric weaving together a worldview, not the worldview itself. Does this, then, allow for atheism to be epistemic neutral ground? Again, I don’t see why it would. What reasons are there for favoring atheism as a research program (borrowing the phrase from Michael Rea) over theism? Again, it seems the only answer could be that it rejects all gods, so it somehow must allow for equal evaluation of other views. This still seems totally misguided. Why does rejecting all things make one neutral? If I am presented with some event, e, and possible explanations for e, A, B, and C, and then I reject A, B, and C, does this somehow make me neutral towards A-C? No! It means I reject them as explanations for e! Perhaps this is because I have my own explanation for e, or believe that e cannot be explained, but that doesn’t mean I am neutral towards the explanations which have been offered. It therefore seems as though atheism cannot serve as epistemic neutral ground, either as a worldview itself, or as a method for research. Can alternative views suffice? It seems as though logic could serve as a research method which can be epistemically neutral. The immediate objection to this could be that there are those who reject logic and claim that there can be contradictions, impossibilities, and the like. My answer to this is that even those who reject logic can only claim to do so for logical reasons. In other words, they formulate logical arguments in order to argue that logic is false. It seems as though if someone has to assume the truth of some proposition (in this case that logic is true) in order to argue against that same proposition, then their arguments can in no way undermine the truth of that proposition. I’m happy to follow logic where it leads. It seems to me that it leads straight towards the existence of God. Why? I’ve discussed this elsewhere: the Liebnizian Cosmological Argument, the Ontological Argument, Purposively Available Evidence, and the Teleological Argument. I’ve written on this same subject here.